We offer a full range of property management services tailored to you as an investor, homeowner, or landlord. 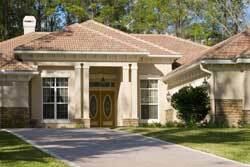 We have an extensive portfolio of single family homes, townhouses and condos in the Casselberry area. Hibbard Casselberry convinced the residents of Fern Park that the best way to avoid property taxes was to incorporate their own tax-free town. A town meeting was held on October 10, 1940 where the tax-free Town of Casselberry was officially incorporated, including parts of Barnett’s Fern Park Estates. As more property was brought into the city limits of Casselberry, the area of Fern Park was pushed further south towards SR 436. With the beginning of World War II the ferneries were declared non-essential and Hibbard Casselberry secured government contracts for the manufacturing of bandoliers, bomb parachutes, and hospital tent liners. The city returned to the fern industry after the war but also continued work in textiles and Johnson Electronics became a major employer for the city in the 1950s.